How is it already May!? I spent the weekend celebrating one of my very best friends bridal shower so today I am suffering from what I call "after fun depression". It's so nice to spend a full weekend with your best girlfriends but not so fun going back to reality. Here's to hoping the week goes by fast! 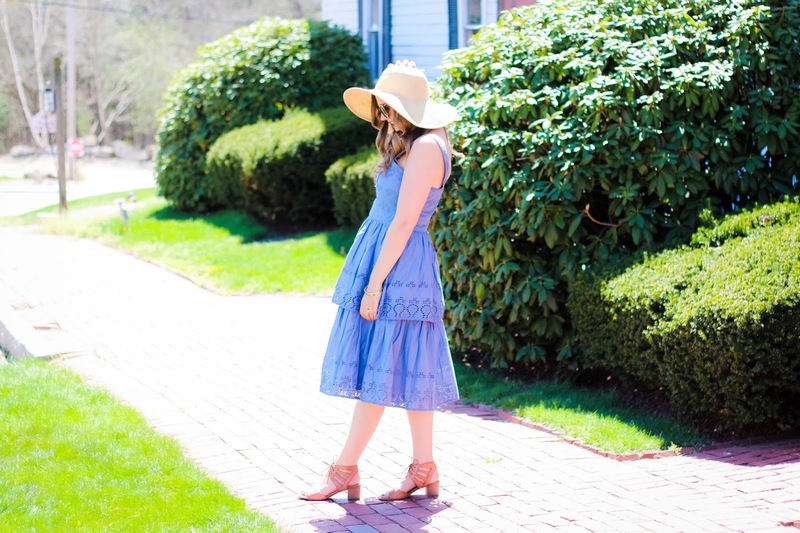 It's no secret that chambray and eyelet are two of my favorite materials when it comes to dressing in the warmer months. 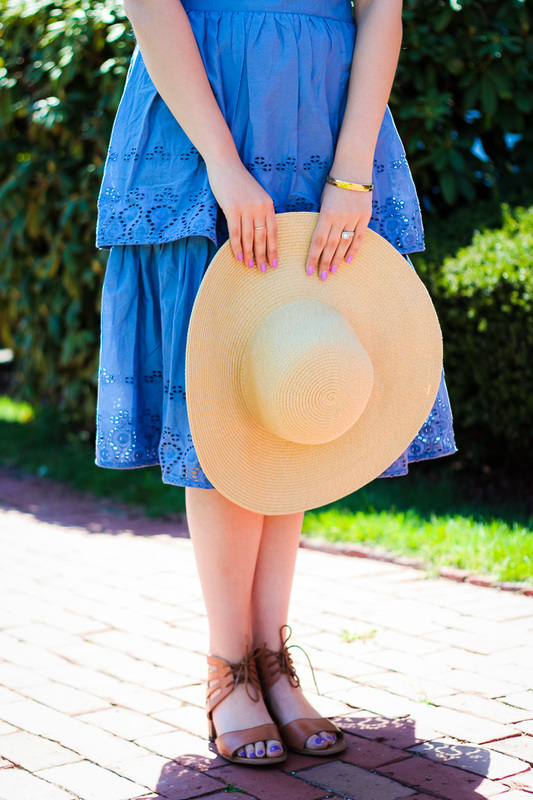 I love the detail the eyelet gives mixed with the cool and casual vibes of the chambray fabric. 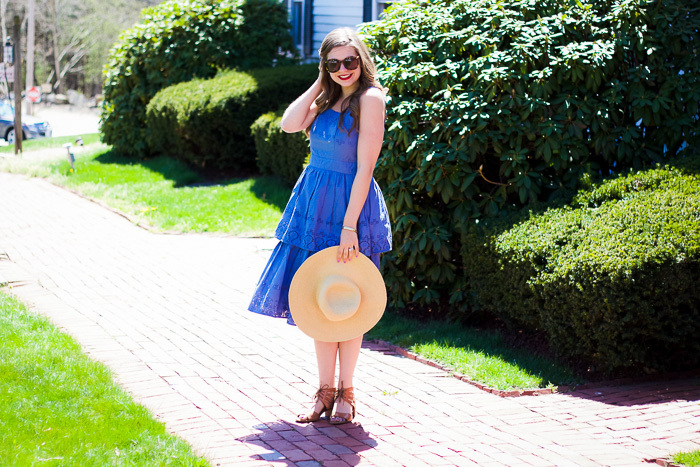 This dress is from eShakti which is a really cool company that custom makes dresses. All you do is choose a dress, enter your measurements, and a custom made dress is shipped right to you! It's the perfect way to have a one of a kind piece! 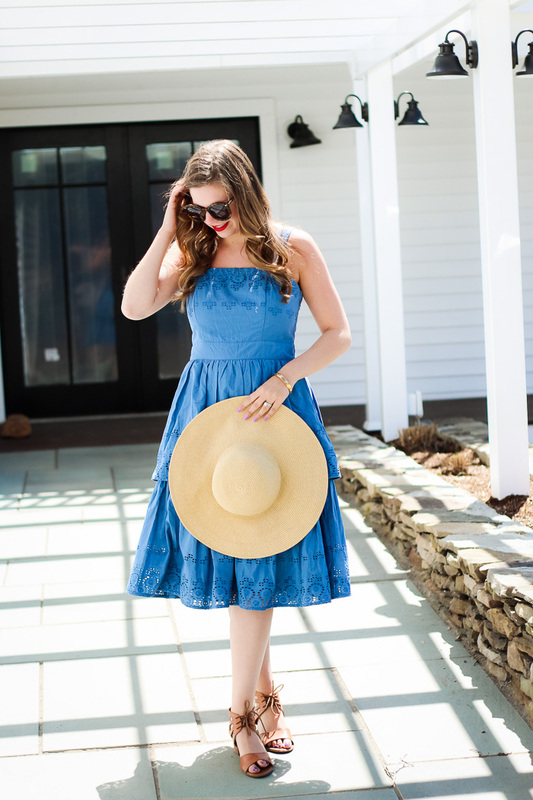 Since this dress is sold out, I've linked a few other dresses from eShakti that I am really loving and wishing to add to my closet! I am LOVING the texture and fit/flare of this dress! 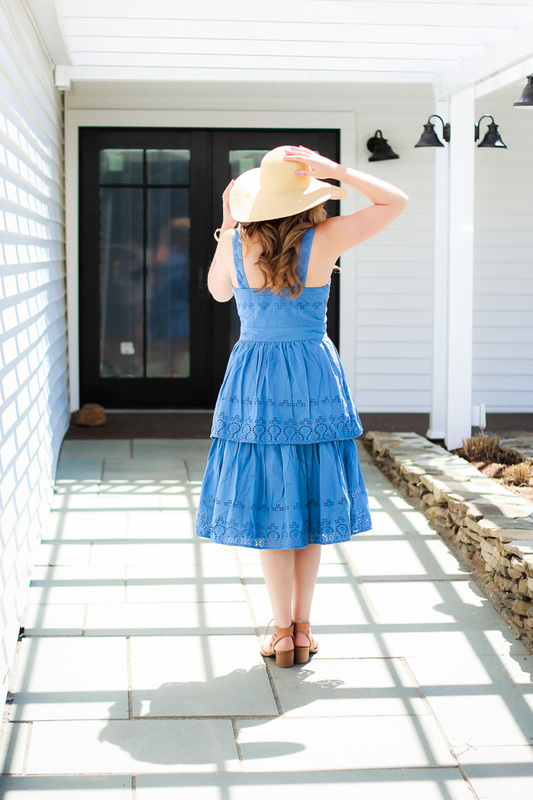 The pairing with the strappy flat is perfect too! What a great combo! Holy cow, chambry? Eyelet? Tiers? You totally put all of my favorite things in one look! You look so lovely. That dress looks so adorable on you! You have the most adorable style! Beautiful dress! That's so sweet, thanks Paola! I love the layers on the dress! You look awesome in this outfit! Aren't they so fun?! Thanks for stopping by, Brittany! Totally with you--how the heck is it May?! I love the layers of this dress! So unique but so perfect. It's crazy, huh? This year is flying! You look super cute in this dress Emily! I keep asking myself the same questions- I can't believe its May Already! Oh my goodness this dress is precious!! The skirt to it is just lovely. I definitely get what you mean, coming back to reality. It makes those weekends all the more cherished, but so sad to see go! that is so true! Thanks for stopping by, Emily! 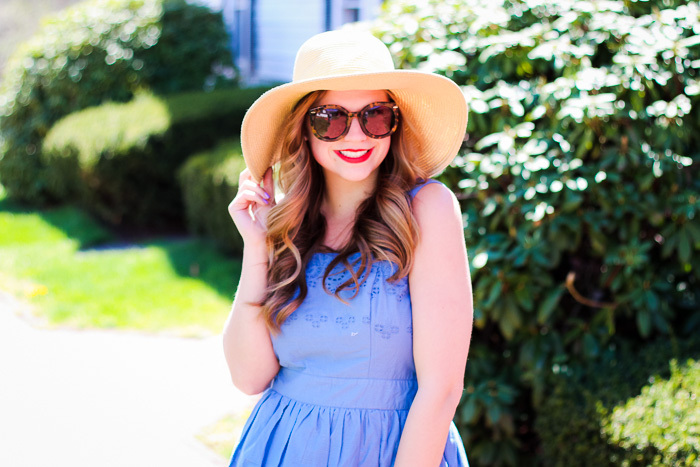 That is such a gorgeous Chambray dress on you! I loved how you paired it with the oversized hat! Looks wonderful for spring. This dress is so pretty! Love how you styled it.